One of the worst things that can happen is getting your car jacked. This is not something we ever want happening to us, but unfortunately, it does happen. 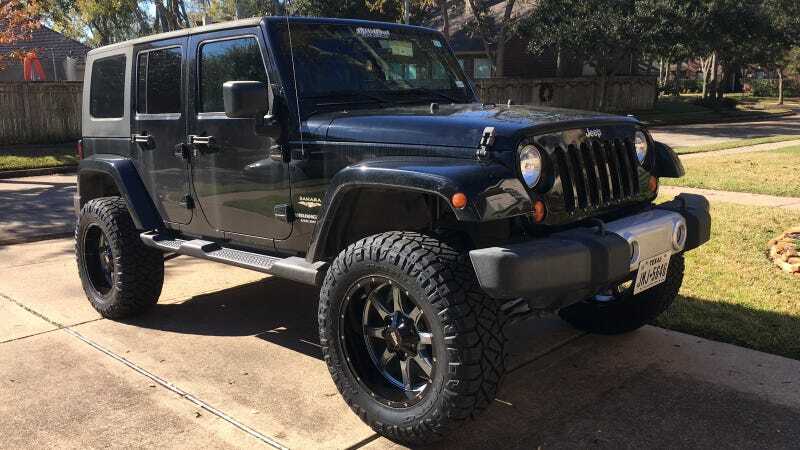 Let’s help this owner recover her stolen Jeep! The 16-year-old owner had parked her SUV and gotten out for some light shopping with her mother at the First Colony Mall in Sugar Land, Texas. She said she parked at 4:09 p.m., and just 11 minutes later, local police alerted her that her Jeep’s license plate was caught going through a traffic signal just outside of the parking lot. She was dumbfounded, as the keys to the Jeep were still in her hand. She hadn’t even owned the car for a year when it was taken from the mall. It was parked between the Dillard’s, Sephora and Grimaldis when she went inside. After just 39 minutes of shopping, she came back outside to find her car no longer there. This Jeep is her pride and joy. She worked several part time jobs in order to afford not only it, but the modifications as well. She’d purchased the Jeep last February and the new wheels, lift kit, and audio system were just installed last month. Here’s how you can help: All Jalops Be On Lookout! The Jeep is a 2010 Wrangler Unlimited Sahara four-door with a hard-top and tinted windows. In the middle of the windshield is a logo decal from ‘AllOut Offroad Performance’, a shop with five locations in Texas. The license plate reads JMJ 5646. The new wheels are Moto Metal brand style MO970s. If you have any information on this Jeep or its whereabouts, please reach out to us at tips@jalopnik.com.